never tried this seafood.. looks delicious.. This is complete new to me I love mussels prepared by mother. Ur recipe looks very inviting. Ha,kothiyayittu vayya.Super yummy and perfect ones. This is one dish that I have never tasted.. I'm not a fan for morsels or clams but this looks very tempting! I never taste or try it. But looks tempting and mouthwatering. completely new dish to me !!! 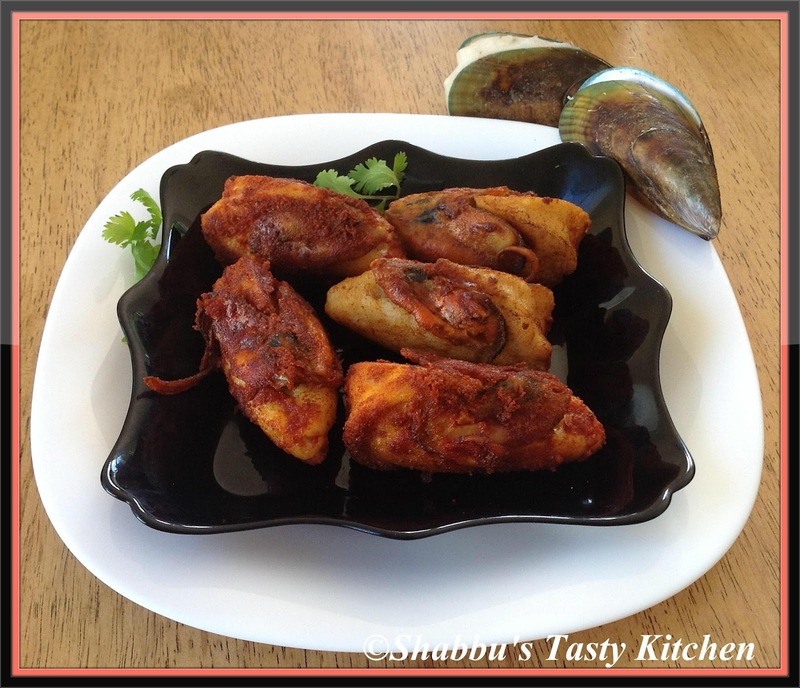 Interesting hot & spicy mussels stuffed,totally new to me! So unique and fabulous dish! Unique and interesting dish, looks so delicious. Super tempting stuffed mussels,looks absolutely yummy and inviting..